I hear Christian leaders talk all the time about “the next generation.” Almost every time they do, though, there’s a slight problem: they aren’t actually talking about the next generation. They are referring to current students in grade school, high school, college, and folks in their early 20s. But that’s not the next generation. The next generation is actually made up of the folks in their 30s and 40s. An entire generation—20+ years’ worth of sons and daughters—that most people have forgotten exists. I’m ok with it now, though, because I feel like God has shown me why it appears the Church has forgotten the true next generation. I don’t believe the Church has forgotten the true next generation on purpose. I believe that God has actually hidden this generation from public view. I believe this generation—my generation—is full of people who have been through hell. For the most part, we are a fatherless generation. Many of us grew up without families, without homes, some without provision, without hope. This generation was chosen by God. This generation has been through hell, but there’s a God Who created hell and is Master of it. My God forged this generation in the fires of adversity and has brought us forth, a great weapon for His purposes. We have become a two-edged sword in the hand of God Almighty. This generation has learned that man does not live by bread alone, but by every Word that proceeds from the mouth of the Lord (Deuteronomy 8). We learned because we had to. This generation has learned that God is our Father. We learned because we had no other fathers. Because God is our Father, we in the next generation have been taught by God Himself how to be sons. That’s why you’ll always see us around the church-house, quiet but working hard. We’re taking out trash, cleaning toilets, carrying books, teaching Sunday School, feeding the poor. We are the workhorses. We are the burden-bearers. We’re serving the house of God and our spiritual authorities because we love them, because it honors God to do so, and because we know who we are in Christ. This generation has been much ignored, but we have clung to the feet of Christ Himself, rather than to the feet of man. We have been forced to learn that God is our Shield and our Exceeding Great Reward, and we are His portion. God has kept us hidden because THIS GENERATION belongs to Him and Him alone. He called us out and separated us unto Himself. I heard Bob Jones (the prophet, not the university) say once that God intends the group I am in to be the leaders of the 3rd generation—those who are children, students, and very young adults right now. I’m certainly not qualified to argue with Bob Jones, but even if I were, I wouldn’t. Because I think he’s right. I think that Roe v. Wade happened when it did because the enemy was trying to take out the leaders. But God’s purposes reign eternal. We survived. Fewer in number than we were destined to be, yes. But we are here. We have been soaking in the glory of God for years. And we are here. We are free. Delivered. Full of the Word. Ready. Eager. And waiting. I’m not looking to man to promote us. God will certainly use our spiritual fathers and shepherds to help promote us when it’s His time; that’s His way. He has placed authority over us because we need to submit to it. We can only have authority as much as we are under authority. We need covering, and we love and submit to our leaders. But our eyes cannot be on man. Our eyes must be on God, and God alone. We are His portion. He is a jealous God. And only He can sustain us through the weight of His greater works, when He does choose to promote us. So if you are in the true next generation—in your 30s and 40s, or around those ages—and if this message resonates with you, be encouraged. God has not forgotten you. Serve. Serve faithfully. Refuse to budge from where He has planted you. You are there for a reason, and His eye is on you. Pray for the opportunity to walk in your calling. One day, perhaps even suddenly, He will promote you. 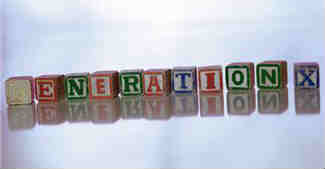 Are you in the true next generation? If so, what do you think about this subject? I’d love to hear your thoughts. Please leave a comment below. Totally agree with you here!! I am a gen Xer and feel forgotten too! God showed me one day that X marks the spot. We are a treasured generation and we will be the fulcrum between the old wineskin and the new wineskin. We will be the ones to honor the Fathers and Mothers of the faith while helping the older generation to understand the new wine coming to the ‘next’ (millennial) generation. There will be a major gap of unity if our generation does do not do our job!!! I’m so sorry you feel forgotten, Tisha! But please read my recent post on how promotion comes from the Lord. It really comforted me when I learned about it, because it meant my advancement in the Kingdom wasn’t subject to anyone else remembering me! 🙂 LOL. Unlike men, Papa will NEVER forget you. 🙂 God Himself will promote you when it’s time, just like He alone chose the apostle Paul. I pray you will be encouraged today! Hugs! What little bit I heard about generation x I simply let go in one ear and out the other because I was so consumed with self but looking back I always felt forgotten and desired for so long to stand out in ways I would never do again looking back. I don’t want my kids to ever feel that empty and alone and right now I feel that’s what I’m still here for. Serving God is not easy but the rewards are greater than I could have ever imagined when my kids tell me, “I’m so glad you’re my mommy,” when I hug them and let them know how much I love them but that God loves them even more and then we read in His word just how much. Thank you for the encouraging word. I didnt know I ever even felt that way. I’m anxious to see how He promotes me because with my life in certain areas it just doesn’t seem possible but thank you. I believe now He’s still preparing me for some other way to minister to others however that may be. Thank you for the encouragement. Trusting God for His timing and positioning. Thank you for this post. I sometimes get tired of hearing of future opportunities, future blessing and future some more. Is God not also the God of the now? As I am grateful for all of His rich blessings each day, but I am also longing for more in the now moment.